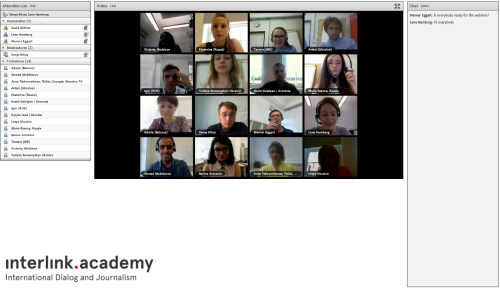 The "Digital Journalism for Eastern Europe" program organized by the Interlink Academy in Hamburg, Germany included two webinars (web seminars). 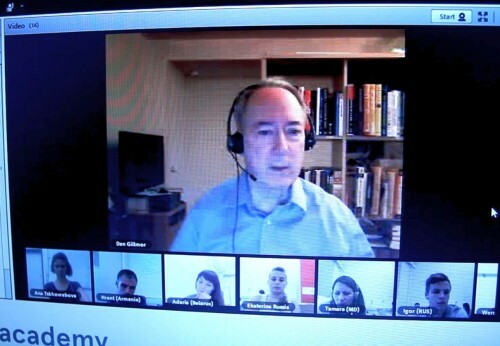 The first webinar speaker was Dan Gillmor, Director of the Knight Center for Digital Media Entrepreneurship at Arizona State University’s Walter Cronkite School of Journalism and Mass Communication. His answer was a resounding YES! “Journalists must be activists when it comes to protecting freedom and consumer rights”- he concluded. A general discussion was followed by questions about social networks and ethical issues. 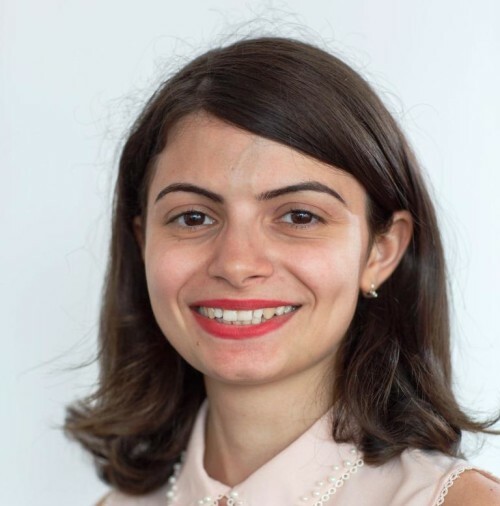 The second webinar was with Ukrainian investigative journalist Denys Bihus, who shared some of his recent investigations and answered questions about the problems and challenges faced by investigative reporters. 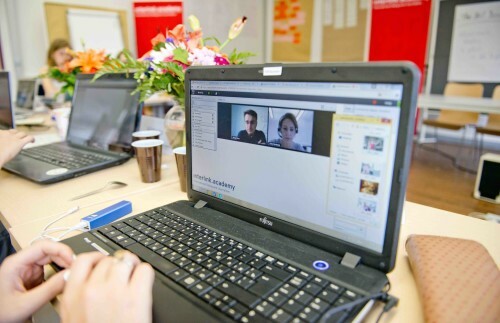 Both webinars provided interesting insights, notwithstanding the technical issues caused by Internet connection problems. The organizers are discussing the possibility of hosting webinars during the e-learning stage as well.